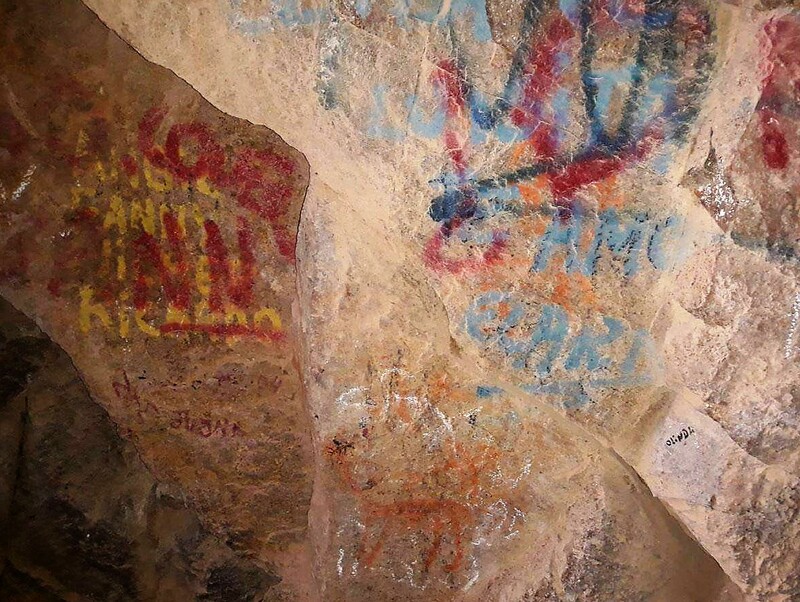 An article by Harriet Agerholm on independent.co.uk - Ancient cave paintings in Chile 'irreparably' damaged by graffiti - reports on the vandalism of the rock art in the Anzota Caves in Chile. Vandals have obscured the ancient work with graffiti. Image: Felipe Sandoval. The paintings depicting animals and boats in Cuevas de Anzota are thought to be about 1,400 years old. The Cuevas de Anzota, south of the city of Arica, is a cave system that was used by the indigenous Tiwanaku people in pre-Columbian times. Vandals have obscured the rock art with brightly coloured graffiti, which has prompted a backlash against both tourists and the authorities under whose care it is. As part of the efforts to attract visitors to the area, the Chilean government recently restored a path to the caves that was originally built in the 1960's. Despite a notice at the site declaring it as an 'archaeological site preserved for future study and enhancement' few other measures of preservation were apparent to protect the site. Singer Felipe Sandoval raised the profile of the incident. Marcela Sepúlveda, an archaeologist at the University of Tarapaca commented to El Pais that the damage was irreversible. "Any intervention to clean it will also affect the panel." What & Why is Paleolithic Art?